Why does our stomach make rumbling sounds? 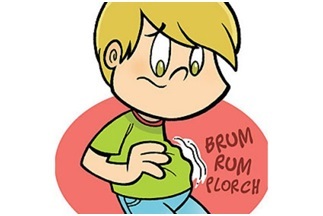 In this article you will come to know that why does our stomach make rumbling sounds. Q. Why does our stomach make rumbling sounds? Ans. The rumbling sounds produced in the stomach are a result of the action of the muscles of the digestive system, which squeeze the food passing through them during the digestion process. As the food and liquids pass through these muscles, some gas and air bubbles also get into the mixture. When these bubbles burst they make rumbling sounds. When our stomach is full with food, these sounds are feeble because food absorbs some of the sound. But when the stomach is empty, these sounds become much more audible. Previous Article How do bees make honey? Next Article Why do the knuckles make a cracking sound?